The excuses were there and would have been valid. No team had played a game on less rest. They started a backup QB who hadn’t played extensively in five years. They were coming off one of their more emotional wins in recent memory. I started this season writing about how the Bears looked like the same old Bears and that’s because they did. Blowing a huge fourth quarter lead to the Packers on opening night was very on-brand. But on Thanksgiving Day, the 2018 Chicago Bears beat the Detroit Lions despite all the excuses. In doing so, they proved they are a different team. Comparing this year’s Bears to versions of the team under Marc Trestman and John Fox is just ridiculous at this point. This was even a game the Lovie Smith Bears would’ve lost. This team didn’t. They didn’t need excuses. They just went out and won. Somewhere along the line, the team changed. Somewhere they found their swagger and turned 2018 into something with the makings of a special season. Not the most compelling game ever played but the kind of result good teams get. The Bears played three division games in twelve days and went 3-0, outscoring the Lions (twice) and Vikings 82-58. This three-game stretch solidified them as one of the better teams in the NFC and it would now be a terrible disappointment if there was not a football game at Soldier Field in January. 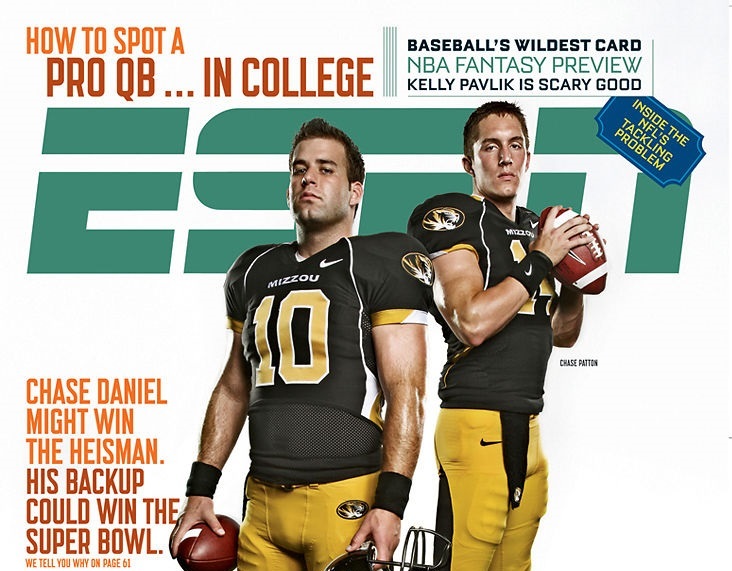 Chase Daniel did everything a team can ask from their backup quarterback. He moved the offense. He avoided crippling errors. Was he good? Not really. Even the touchdowns/big plays were not well-thrown balls. But he got the job done. In the modern NFL, teams need a backup QB that can hold down the fort and win some games for 2-3 weeks every season. With Daniel, the Bears have that. 3rd and 1. Early second quarter. Stafford rolled to his left and had about six minutes to find an open receiver to move the chains. Why? Khalil Mack was floating in coverage. (And “floating” is the accurate word.) This is what Fangio’s defense is. Understood. But without a healthy Aaron Lynch, and with Leonard Floyd struggling to get to the quarterback, not allowing the game’s best edge rusher to rush from the edge feels negligent. As Andrew pointed out on Twitter, the Bears were awful on 2nd and long all game, giving up chunk plays in the air and on the ground. This will be a focal point before they head to the Meadowlands. Eddie Jackson has to be in the conversation now for DPOY now. Right now the award is Aaron Donald’s to lose, mostly because of Mack’s earlier injuries, but no defender has made more big plays in 2018 than Jackson. Every week Roquan Smith makes another play. And every week it becomes more apparent Smith is going to be in the middle of the Bears defense for a long, long time. The running game, or lack thereof, will be a major talking point over the next ten days. But look no further than Matt Nagy’s two-point conversion call to understand why that element is struggling. With an inaccurate backup QB, Nagy called a pass. And not just a pass. A quick, bubble screen that required timing and pinpoint ball placement. Despite what the head coach tells reporters, the answer is simple. The Bears don’t run the ball because the Bears don’t want to run the ball. Taquan Mizzell is more valuable to Nagy than Jordan Howard. 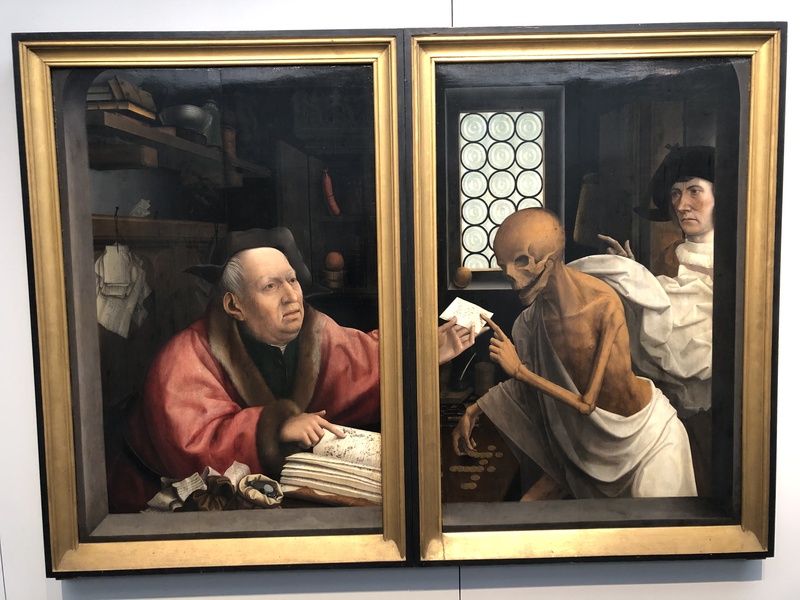 This painting is “Death and the Miser”, Jan Provoost, Flemish primitive. It is on display at Groeninge Museum, Bruges. It is brilliant. Back in the states today and excited to get back to full-throated coverage of this remarkable playoff push! First ten minutes of this game are essential. Lions will have energy; they always do in this Thanksgiving spot. But the Bears can’t afford to come out slow. If they do they could find themselves down 10-0 quickly. Not insurmountable but also not ideal. This game stays close. And Khalil Mack sacks & strips Matthew Stafford late, re-cementing his status as front runner for DPOY. …and I give thanks for Ryan Pace, Matt Nagy, Mitch Trubisky, Vic Fangio & the whole lot of em. This is not a particularly difficult football game to analyze. These two teams played less than a fortnight ago and one of the teams, your 2018 Chicago Bears, was clearly better. But this schedule is brutal for the Bears. Sunday night, against the Vikings, was their biggest game in many-a-moon. It was also their most emotional. Resetting in just three days is nearly impossible. Especially on the road. This is a tough spot. Now begins another act of the play! 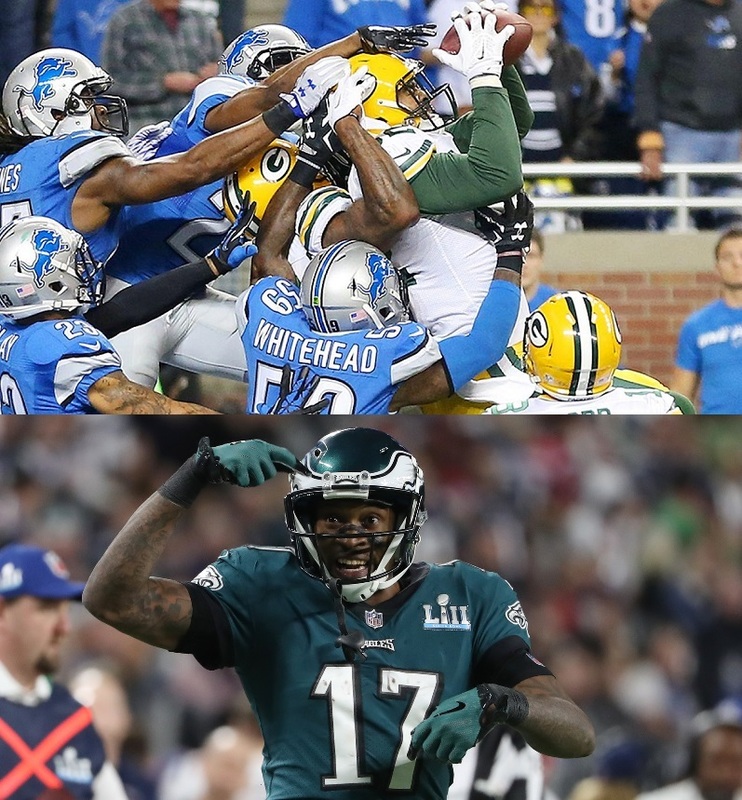 Sunday Football Without the Bears Thread, or Go Lions, Eagles! Speculation Station: Who Will Rise? Who Will Fall? Who Could be a Dark Horse Contender? All right, Bears fans. We’re still a couple weeks out from the official start of free agency, and while a few noteworthy cuts, extensions, trades and franchise tags have all taken place we’re still pretty much just…. waiting. I’m not a data wizard like John, nor covering a lot of breaking Bears news like Andrew, so I’m diving headfirst into the deep, consequence-free waters of speculation. Think of this article more like a conversation between two drinking buddies at the bar. 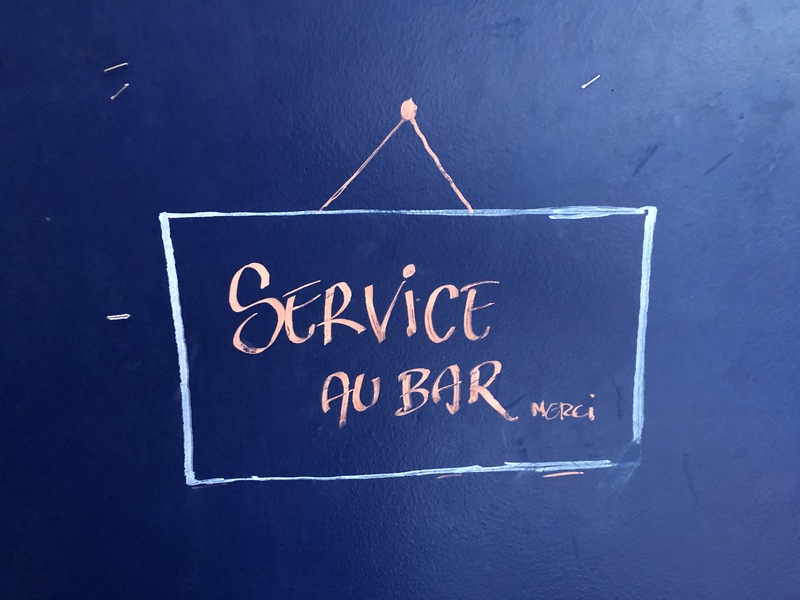 Open a beer while you read if it helps, and come join me! The waters are warm and not to be taken too seriously. This week we’re talking about expectations. More specifically, two teams I think will exceed expectations in 2018, and two I think are heading towards disappointment. I also picked one (wild guess, complete dark horse, probably doesn’t stand a chance, but what the hell, it’s March?) team that I feel on a gut level might have a breakthrough year. I tried to mostly steer clear of the super obvious (by that I mean I didn’t pick the Browns to still be terrible), and it goes without saying (but I’m going to say it, anyways) that moves made in free agency and the draft, along with the other 50 million variables that might change a course of a season, could greatly affect my views on these five teams come the start of the season. A talented young QB who has the potential to make a significant leap from Year 1 to Year 2. A new energetic head coach and a high quality support staff bound to inject energy into the locker room. A good amount of cap space so Pace can target quality players that can do things like “run routes” and “catch the ball”. Prestige and history that comes with playing for a franchise as distinguished as the Bears makes Chicago a very attractive location for top free agents. The question I’ve been asked most since getting to Chicago: “Do you think Trubisky will be a positive when looking for a new coach?” My answer each time has been a definitive yes because I truly believe it will. But I decided that, instead of leaning on my gut, to poll my two pals in the league on the question, factoring in all of the potentially-available gigs and their quarterback situation. I’ve grouped the teams into categories. They get their own category because think of the waters GM Chris Ballard has to navigate. When he’s looking to hire a coach in January he may not be able to tell the candidates whether Andrew Luck, their franchise quarterback, will require an additional surgery sidelining him six months or more. He won’t be able to tell the candidates if they have a franchise quarterback in 2018 or not. These are two jobs that, should they come open, will come open with a quarterback in-place. But…do you want them?